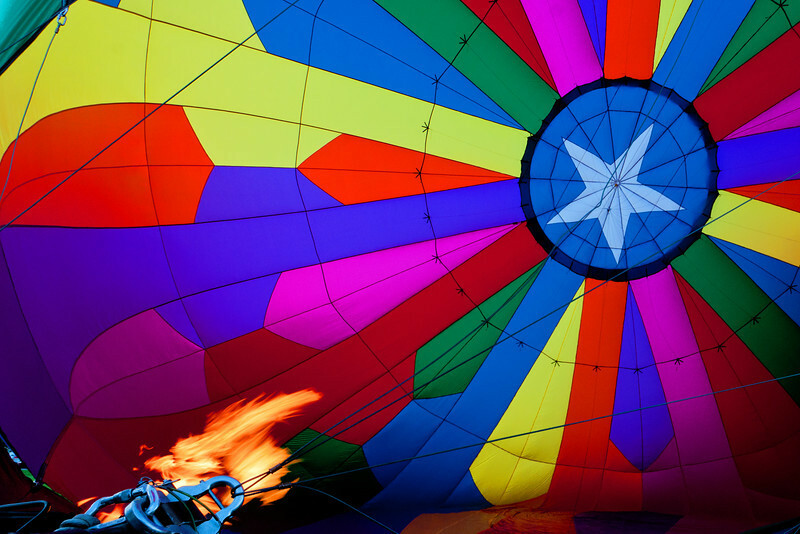 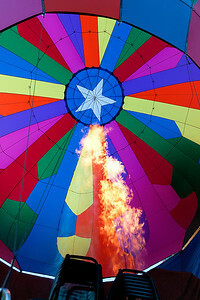 The owner of the balloon allowed me to sit inside the gondola to get the photo of the heating the air with the propane burners. 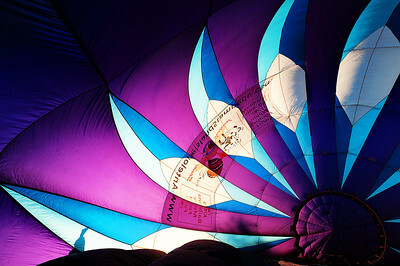 The owner of the balloon allowed me to step insde the balloon while inflating. 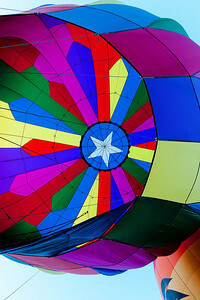 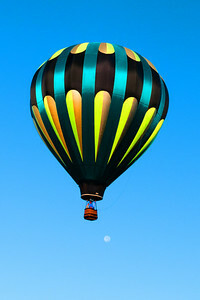 This balloon had deep rich color.